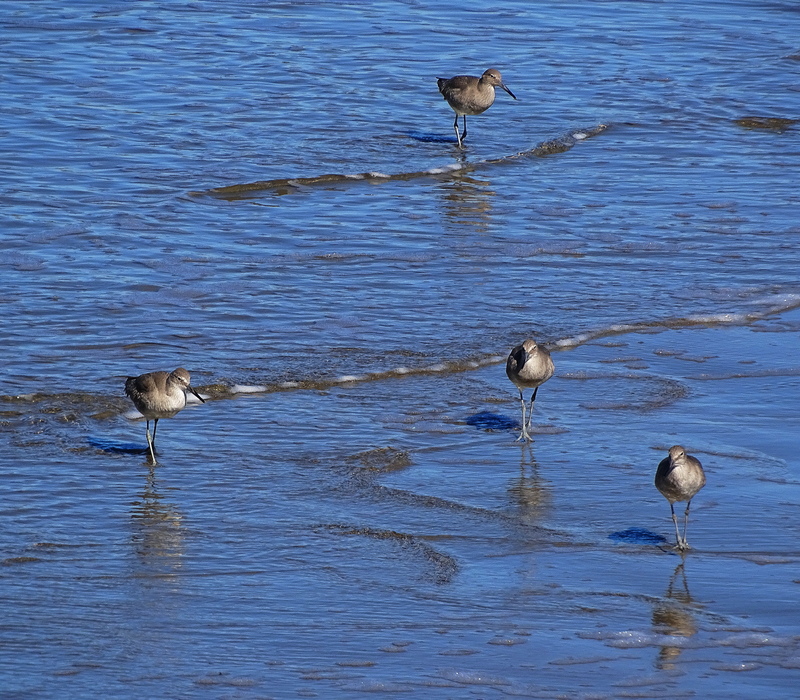 Peeps are the world’s tiniest Sandpipers. They weigh 3/4 of an ounce and stand just a couple inches tall. 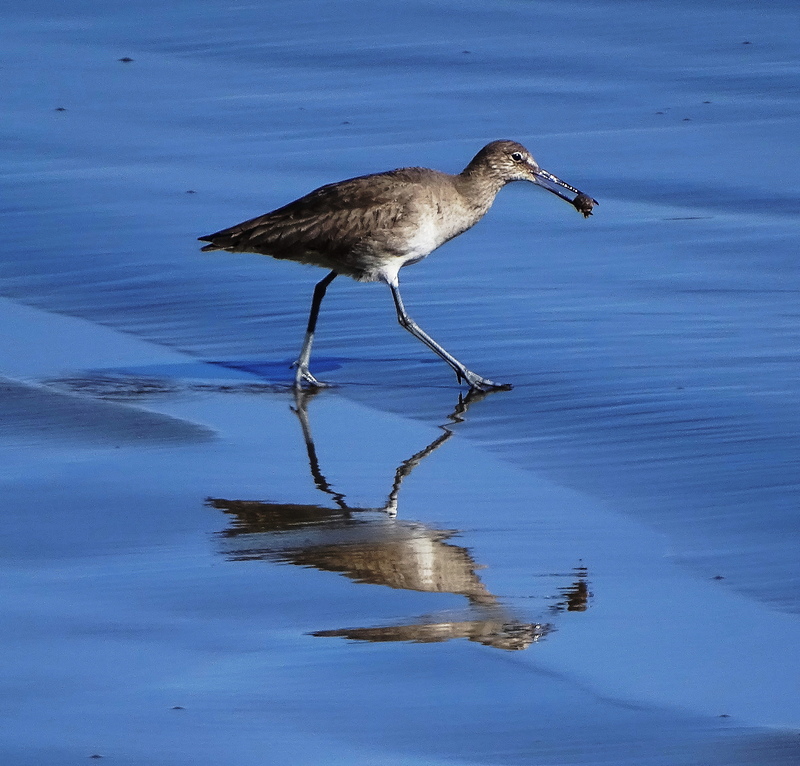 They run speedily along the beach like frenetic tiny housekeepers, catching all sorts of little crabs to eat. Here they are politely sharing a sandcrab lunch! 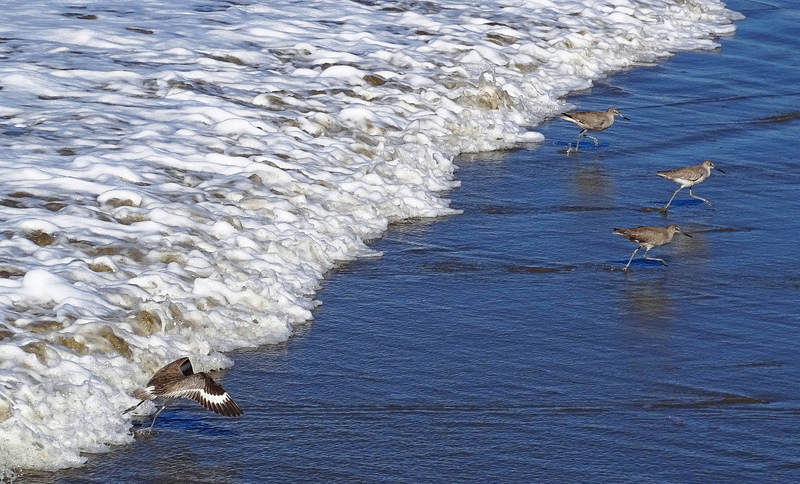 You can see how tiny they are in comparison to a Western Gull and a Godwit Sandpiper. 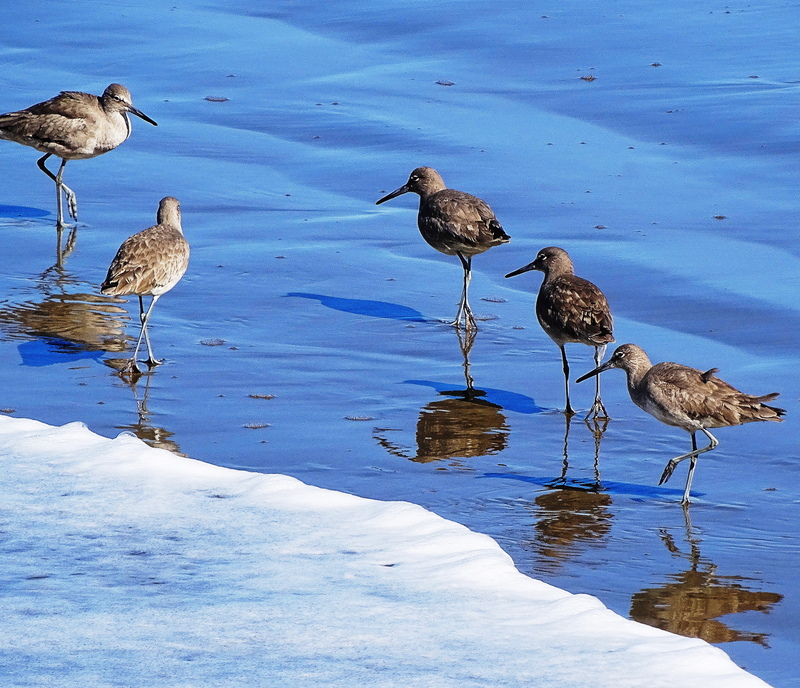 These peeps are Western Sandpipers. 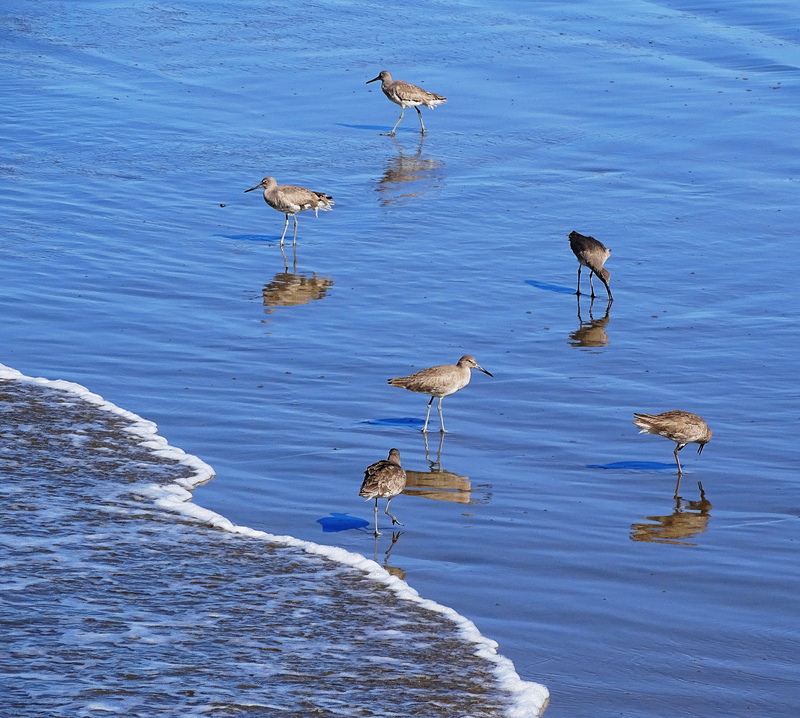 They winter along the California coast and breed in Alaska and Siberia. These constantly busy little birds are super entertaining to watch.